"Benjamin Grosvenor may well be the most remarkable young pianist of our time." 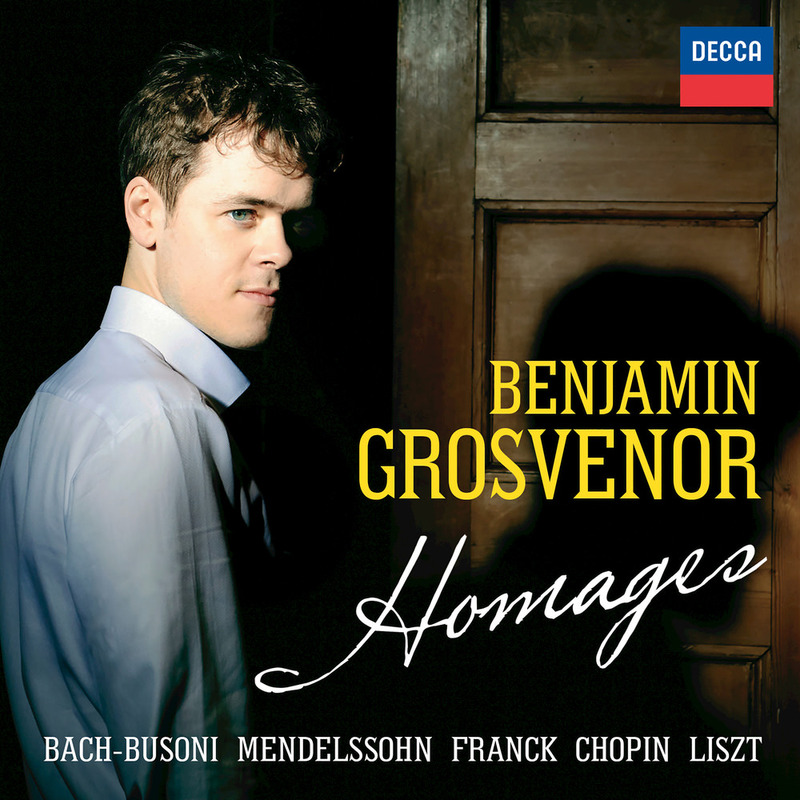 On Homages, award-winning British pianist Benjamin Grosvenor explores a number of works in which great composers honour their predecessors. Both Mendelssohn and Franck look back to the Prelude & Fugue form made so popular by Bach, while Busoni takes Bach's great solo violin Chaconne and reinterprets it in a bold and imaginative transcription for piano. Chopin breathes new life into the traditional Barcarolle of Venetian gondoliers, followed 10 years later by Liszt's tribute to Italian folksong, Venezia e Napoli. This digital edition includes Ravel’s Le Tombeau de Couperin, a suite for solo piano in which the composer paid homage to his musical predecessors and the traditional Baroque style. The piece also serves as a memorial to Ravel’s own friends, as he dedicated each movement to a colleague who died in service during the First World War.